Herbal Heena powder from ECO & BIO ROOTS is a mixed of other essential herbs and is herbal without the use of any chemicals in it for colors and comes in a packaging of 100gms. The brand stands for a mark of quality and premium range of products which are natural, organic and environment friendly. 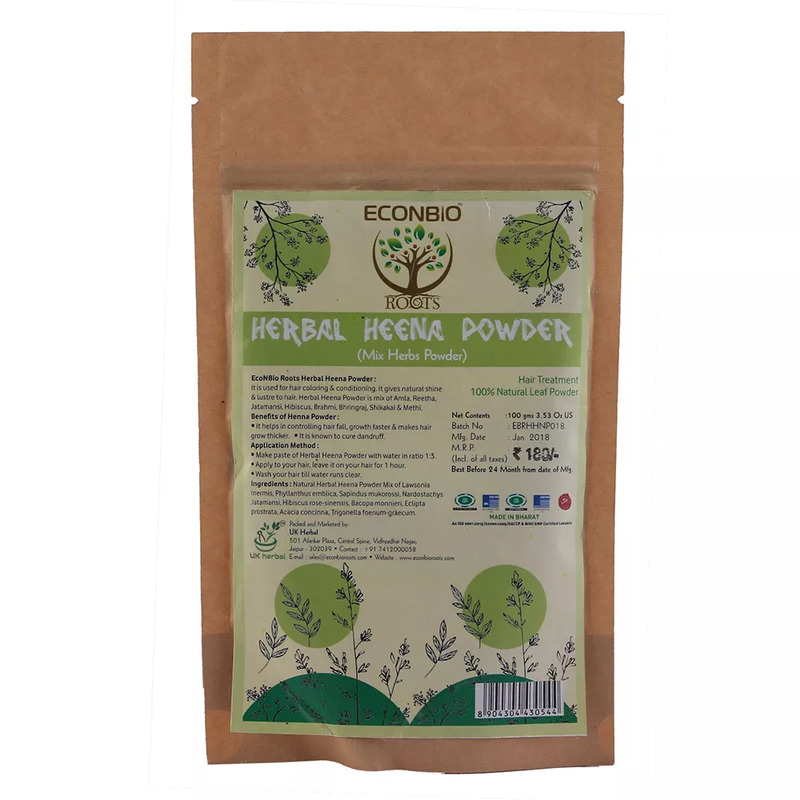 The chief use of herbal heena powder is for the beauty and wellness industry where it is used as a herbal hair dye contrary to artificial colored hair dyes which are not only harmful to the hair but also the skin. It is also used for auspicious occasions where women smear their hands in patterned hand painting of heena on their palms for the weddings and other auspicious occasions like festivals. Besides this when applied on the forehead it relieves headaches, boosts hair health and detoxifies the body. Make paste of Herbal Heena powder with in ratio 1:3. apply to your hair, leave it on your hair for 1 hour. Wash your hair till the water runs clear.